Special report on dispute between IKEA and SAE and state involvement allegations | Russian Legal Information Agency (RAPSI). A new round of a legal dispute between businessman Konstantin Ponomarev and IKEA demonstrates how a big international company may mislead governmental institutions for years by discrediting legal mechanisms developed in Russia for protection of investors and businessmen. Seven years ago, the Russian Ministry of Economic Development (MED) started dealing with foreign investors who faced problems in the framework of a program aimed at attracting foreign direct investments in Russia and promoting implementation of private investment projects. IKEA lawyers attempted to take advantage of the situation and secure their own interests. They claimed for several years without providing any evidence that dispute settlement between IKEA and Sistemy Avtonomnogo Energosnabzheniya (SAE) that had been reached on November 22, 2010, was the first significant project on behalf of the MED for the protection of investors. The settlement agreement was allegedly signed with the assistance of the MED which was supposed to be represented in negotiations between the parties by Sergey Belyakov, then director of the MED Department for investment policy and development of private-public partnership who later became deputy minister of the MED. The agreement allegedly enabled IKEA to settle the dispute and fulfill all the requirements under the rental contracts for SAE generators. IKEA representatives later told mass media that the disputes with Ponomarev in 2011 through 2016 were a fraudulent attempt to recover the money that had been already paid which undermined investment environment in Russia. RAPSI filed an official request with the MED in order to clarify the situation. The MED answered that it had nothing to do with the dispute between Ponomarev and IKEA as well as any other dispute between commercial entities. Moreover, the MED claimed that it could not act as a mediator in any dispute as it was restricted by the law. Unfortunately, Russian courts were misled along with a number of high-ranking officials. 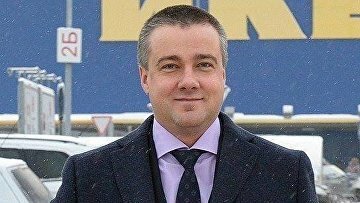 This testimony is fully in line with the position of IKEA that blamed Ponomarev for alleged fraudulent activities, such as an alleged concealment of debt assignment, and an alleged attempt to recover the money that had been already paid. Let us take a closer look at the testimony provided by Belyakov and IKEA arguments and try to verify the allegations. Federal Law 193-FZ “On alternative procedure of dispute resolution with the assistance of a mediator (mediation procedure)” was signed on July 27, 2010. The law entered into force on January 1, 2011, after the settlement between Ponomarev and IKEA had been reached with participation of Belyakov. Therefore, Belyakov could not be engaged as a mediator in the dispute due to the fact that the law on mediation was not in force in Russia at that time. Besides, according to provision 2 of Article 2 of the law, “mediation procedure is a means of dispute resolution with the assistance of a mediator on the basis of voluntary consent of the parties aimed at reaching a mutually acceptable decision.” However, no document presented to courts or made public contained Ponomarev’s consent to attract a mediator in the dispute. Provision 6 of Article 15 of the law on mediation reads that “a mediator may not act as a representative of a party [to the dispute - RAPSI].” However, on November 5, 2010, John Rasmussen, then chairman of IKEA MOS Supervisory Board, in his letter (RAPSI has a copy of the letter at its disposal) directly asked Belyakov to side with IKEA in the dispute: “I would like to ask if you wish to attend the meeting [for signing of the dispute resolution agreement – RAPSI] and provide us additional support, as well as to prepare for the next meeting with Konstantin Ponomarev [after the dispute resolution agreement is signed – RAPSI] …” Notably, Ponomarev was not aware of cooperation between Belyakov and IKEA. “Konstantin Ponomarev has not been notified about this yet,” John Rasmussen told Belyakov. The cooperation between Belyakov and IKEA started on September 26, 2010, when John Rasmussen wrote Belyakov that “concerning your meeting and conversation with Ambassador Sven Hirdman in Moscow last week, I would like to say that we are eager to accept your offer.” In the meantime, Ponomarev knew nothing about it until mid-November. In the meantime, a mediator cannot act as a witness in court proceedings. Provision 5.1 of Article 56 of the Russian Arbitration Procedural Code reads that “those who provide assistance to the parties in dispute resolution, including mediators, cannot be questioned as witnesses.” Nevertheless, Belyakov testified before a court on March 5, 2012, in the capacity of the defendant’s witness. Since the Ministry of Economic Development could not be in any way involved in the dispute between Ponomarev and IKEA, Belyakov being an official of the MED also could not be involved in the dispute as a mediator. Therefore, statements about participation of the MED as an assistant, mediator or guarantor of the dispute resolution agreement between IKEA and SAE signed on November 22, 2010, are not true. “I took part in the negotiations from September through November 2010,” Belyakov claimed. “Prior to our participation, the parties could not come to an agreement.” Thus Belyakov turns out to be allegedly authorized to take part in the negotiations between IKEA and SAE on behalf of Russia. However, it is possible to verify the information thanks to the correspondence between Belyakov and IKEA representatives (screenshots of the correspondence are contained in court records). The letter Rasmussen sent to Belyakov shows that Belyakov himself offered assistance to Sweden in September 2010, and the ambassador informed IKEA management thereof. IKEA accepted Belyakov’s cooperation offer on September 26, and in September through November 2010 Belyakov assisted IKEA while Ponomarev was still unaware of it. Belyakov could not participate in the negotiations between IKEA and SAE without revealing himself. That is why he was kept informed about the ongoing negotiations by IKEA. It turns out that by November 9, 2010, the negotiations were practically completed without Belyakov’s participation. Moreover, until November 9, 2010, there was not a single joint meeting of IKEA, SAE, and Belyakov. Nevertheless, all issues had been agreed upon except for the signing procedure and payment. Belyakov took part in the negotiations between IKEA and SAE for the first time on November 16, 2010, in order to discuss these remaining issues. The signing procedure and payment were discussed while the 20-page agreement was left aside. Belyakov even did not know its terms. In this case what shall we do with Belyakov’s initial allegations that he participated in the negotiations between IKEA and SAE from the very beginning in September 2010 and his alleged acknowledgment of the terms of the agreement signed on November 22, 2010, and alleged fraud by Ponomarev? When cross-examined in court, Belyakov changed his mind and claimed that he participated in the negotiations between IKEA and SAE only once on November 16, 2010. “I was not familiar with the text of the agreement and there was no task to get familiar with it”, “I do not know the terms”, “I am legally competent, but since I have no competence as concerns disputes between economic entities due to my functional duties, just on principle I have not read about [how to regulate] some relations subject to regulation by the agreements,” Belyakov said. 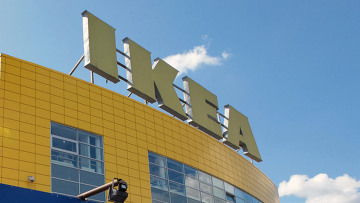 It should be reminded that according to IKEA an end was put to all disputes between IKEA and entities under control of Ponomarev after the dispute resolution agreement was signed on November 22, 2010, whereas the claims by RUCON were said to be unlawful. Let us try to sort out this issue taking into account the documents contained in court records. The initial rental contracts for 112 generators to be used at two St. Petersburg MEGA shopping malls until December 31, 2008 were made in October 2006. In July 2008, IKEA restricted access to generators for SAE employees keeping generators in use and declining to make rental payments. On September 23, 2009, IKEA and SAE concluded an agreement on an action plan to resolve the dispute. On October 26, 2009, an additional rental agreement for generators was made covering 2009 through 2010 and the subsequent purchase of generators. In 2008 through 2010, numerous court proceedings concerning rental payments in 2007 and 2008 take place. IKEA returned generators in summer 2010. The rental payments for 2009 and 2010 in accordance with the additional agreement signed on October 26, 2010, were not made. Finally, IKEA refused to purchase generators. Russian Interior Ministry’s experts carried out an expert evaluation in 2012, according to which by autumn 2010 IKEA owed SAE under rental agreements for 112 generators 44,716,289,264 rubles (about $795 million at the present exchange rate). 24,994,970,000 rubles ($444 million) were the rental payments for 2007 through 2008, as well as interest, penalties, and other payments. 19,721,319,264 rubles ($351 million) were the rental payments for 2009 – 2010, including interest, penalties, and other payments. IKEA transferred 24,994,970,000 rubles by installments to the SAE account under the Agreement signed on November 22, 2010. Each payment is clearly defined as rental payment for 2007, rental payment for 2008, interest, penalties, legal costs, etc. No payment mentions in any way the rental payments for 2009 and 2010. IKEA has not paid SAE a single ruble for the generators rented in 2009 through 2010 as envisaged by the Agreement signed on November 22, 2010. The Agreement clearly states that at the moment it was made SAE had no claims against IKEA for 2009 and 2010. In the meantime, on October 21, 2010, SAE assigned these claims to RUCON with the consent of IKEA MOS. IKEA was notified about the assignment agreement seven times: on September 17, 2010, October 21, 2010, October 25, 2010, October 28, 2010, November 1, 2010, November 15, 2010, November 22, 2010. The assignment was agreed upon in 2009, as the consent was reflected in provision 7 of the Agreement signed on September 23, 2009. Taking into account the assignment made in October 2010 with IKEA’s consent, RUCON’s claims against IKEA for 2009 and 2010 could not be settled in November 2010 without participation of RUCON, which was not a party to the settlement. In the course of the actual negotiations between SAE and IKEA, not the mythical ones purported to involve Belyakov’s mediation on behalf of the MED, the parties never made a secret of the assignment of the SAE claims for 2009 and 2010 to RUCON. Everything was absolutely transparent. On November 15, 2010, RUCON sent a debt recovery claim to IKEA having indicated its banking details and given notice that its claims were not subject to the Agreement of November 22, 2010, which had been made without RUCON participation. The fact that the assignment was made with IKEA knowledge and consent is so apparent that even Belyakov does not attempt to deny it in the course of court examination: “I know, there is some story relating to the fact that, as it turns out, before the agreement was signed, notifications about the assignment of the rights had been sent to the company; however, I have no function, nor competence to evaluate the status of these documents and tell if they are legitimate or not.” Thus, Belyakov involuntary admitted that it was quite difficult to ignore seven notifications about the assignment and make an attempt to conceal it. Having in mind the documents mentioned above, the fact that the agreement on the assignment of the claims for 2009 and 2010 between SAE and RUCON was made on October 21, 2010, with the knowledge and consent of IKEA and was a part of the arrangements SAE and IKEA could make in the course of the negotiations carried out in 2010 seems quite obvious. Ponomarev did not conceal the assignment from IKEA during negotiations. On the contrary, the assignment of the claims for 2009 and 2010 amounting to 19,721,319,264 rubles ($351 million) was just the first step aimed to implement a dispute resolution plan that had been agreed by SAE and IKEA. The second step was the repayment of the debt in the amount of 24,994,970,000 rubles ($444 million) IKEA accumulated in 2007 through 2008 under the Dispute Resolution Agreement of November 22, 2010, between IKEA and SAE. The main difference between the claims for 2007 through 2008 and those for 2009 through 2010 was the fact that by the autumn 2010 the legitimate nature of the 2007 – 2008 claims arising from the initial contracts with rental terms expiring on December 31, 2008, had been confirmed by numerous court decisions, which were of the prejudicial nature for next SAE claims against IKEA as concerned additional recovery for years 2007 through 2008. The claims for 2009 through 2010 are quite a different story as no court procedures have been initiated yet and there is no prejudice. Courts have not examined the additional agreement of October 26, 2009, under which the issue of the lease of generators in 2009 through 2010 and their subsequent purchase was arranged. Both parties understand this quite clearly. Therefore, yet in the summer 2010 SAE and IKEA agreed to repay all the debts arising over four years with a deduction at the expense of the discounting of the debts pertaining to the period not yet litigated in courts. The total amount of payments as on August 1, 2010, should have made $885 million. Besides, IKEA should have compensated to SAE legal expenses. By November 22, 2010, when the Agreement between SAE and IKEA was signed, the amount of additional interest at 0.1 per cent a day rate agreed by the parties made $150 million. Probably, at that moment IKEA decided to try luck and totally refrain from paying any sum due for 2009 through 2010 thus reducing the total amount instead of increasing it. It is possible that IKEA took the final decision at the last minute. Otherwise, how it can be explained that the founders transferred 31 billion rubles (about $1 billion at the exchange rate at that time) into IKEA MOS additional capital aimed to make payments associated with generators, but only 24,994,970,000 rubles were paid to SAE. We can only guess where 6,005,030,000 rubles (about $107 million at the current exchange rate) disappeared. In case IKEA management planned to dispute the legitimacy of the claims for 2009 through 2010, it is quite a logical step on their part. Instead of allocating additional $150 million they could save $77 million from the previously transferred amounts! The total sum to be saved is $227 million. The IKEA motives to save the money and to decline repaying of the claims for 2009 through 2010 even at a discount, become clear from the testimony given by Joakim Virtanen, former manager at IKEA’s Russian division: “IKEA claimed that all these claims (RUCON’s generator-rent related claims for 2009 through 2010) were settled under the Dispute Resolution Agreement of November 22, 2010, although as concerns this agreement IKEA has repaid SAE only the claims pertaining to 2007 – 2008. Yet before it was signed, Ponomarev had informed IKEA about the assignment of rent-related claims for 2009 and 2010, which IKEA refused to recognize and repay, by SAE to RUCON. IKEA lawyers, who are fully responsible for the drawing of the Dispute Resolution Agreement of November 22, 2010, have on purpose omitted direct references to the preliminary assignment of SAE claims for 2009 through 2010 to RUCON replacing them with “ambiguous” conditions in order to later accuse Ponomarev of deceiving and double-dipping IKEA. IKEA management does not make an effort to hide the fact that IKEA attempted to deceive Ponomarev by reducing and breaking down the amount of payment prior to the signing of the Agreement. This allegation is supported by Franco Tollardo, former IKEA MOS top manager, who worked for the company for about 6 years. He directly participated in the negotiations between Ponomarev and IKEA yet in 2007 having earlier checked the terms, on which Ponomarev’s generators were rented, and making sure they were competitive. Tollardo also participated in the negotiations between Ponomarev and John Rasmussen, the Chairman of the IKEA Board of Directors, in March through September 2010. “I realized that a next deception of Ponomarev on the part of IKEA was under way as concerned both the founding of a joint venture, or purchase of the generators; I warned him about this and did not take part in the negotiations anymore,” Tollardo told investigators. “If I had not personally observed how the decisions aimed to retain DES SAE were being taken within IKEA in 2009, and how Director Ponomarev was trying to get them returned, I would have reached the conclusion that IKEA management on the whole and all the lawyers worked for Ponomarev, not for IKEA. As a matter of fact, the reason is that in Russia IKEA has turned into a ‘totalitarian sect’, where the truth and facts do not matter anything at all. Every shopping mall IKEA built in Russia is built unlawfully revealing massive infringements and bribes. Dozens of lawyers and ‘fixers’, who need to create and settle for years as many legal problems as possible, live on these corruption schemes,” Virtanen wrote in his testimony. RAPSI will continue to keep a close watch on the dispute between Ponomarev and IKEA, which is a landmark issue for the Russian legal framework. In the next article we will tell about tricky legal stances the courts took when examining the dispute. We invite IKEA to take part in the discussion and present its arguments.